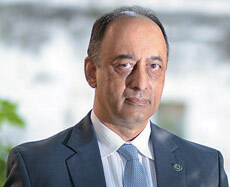 Ajay Chhibber is Chief Economic Advisor at the Federation of India’s Chamber of Commerce and Industry (FICCI). 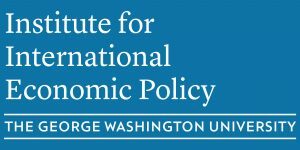 He is Visiting Distinguished Professor at the National Institute for Public Finance and Policy and Visiting Scholar at the Institute of International Economic Policy. He was India’s first Director General of Independent Evaluation with the status of Minister of State. Prior to this, he was based in New York as UN Assistant Secretary-General and Assistant Administrator at the United Nations Development Programme (UNDP) and head of its Asia-Pacific Bureau. He worked at the World Bank for almost 25 years in senior positions managing its programs as Country Director in Vietnam and Turkey and in Indonesia and the Pacific. He was the lead author of the seminal work at the World Bank on Governance, the 1997 World Development Report on the Role of the State. He has published widely including five books on economic development and many articles in international journals and in major newspapers. He has a Ph.D from Stanford University, a Masters from the Delhi School of Economics. He attended advanced management programs at Harvard University and at INSEAD, France. He has also taught economics at Georgetown University and the University of Delhi.